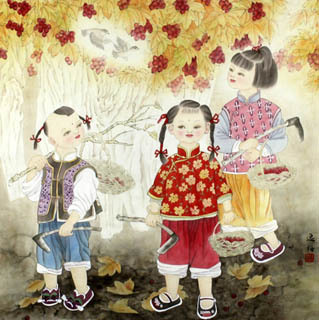 Figure painting is the oldest element in traditional Chinese painting, as everyday scenes were portrayed on the painted pottery which is the representative of the Neolithic Age. 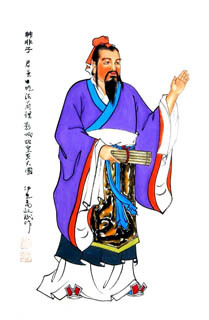 From Qin Dynasty to Three Kingdoms, figure painting was expressed in the forms of mural and lacquer painting with bold strokes and strong colors. 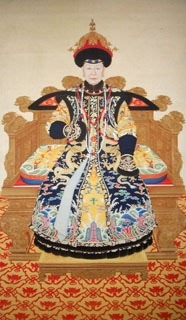 After Jin Dynasty, especially during Tang Dynasty and Five Dynasties, technique in figure painting were constantly developing, and figure painting with exact delineation and enriched colors became highlight. 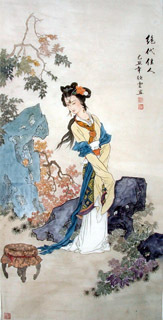 In Song Dynasty, with a wide diversity of style and subject, figure painting reached its maturity. 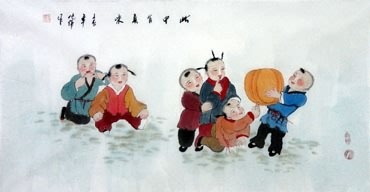 Meanwhile, quite a few painters that specialize in genre painting came to the fore. 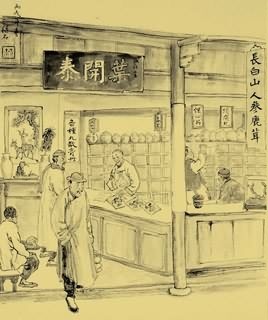 It also was a period that figure painting paid more attention to the inner world of figures, showing outstanding effect of psychological depiction of Chinese figure painting. 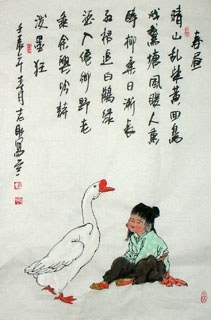 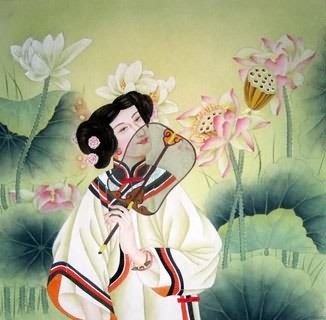 Since Song Dynasty, painting of literati style progressed, along with portrait painting was prevalent among the people. 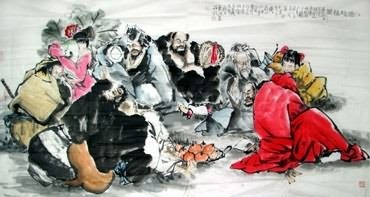 The modern artists of figure painting, not only look back to the past masters' techniques and styles, but also widely soak up the essence of western painting. 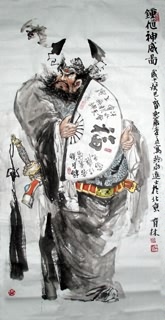 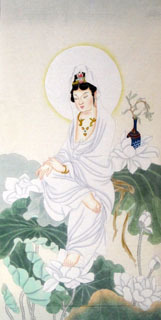 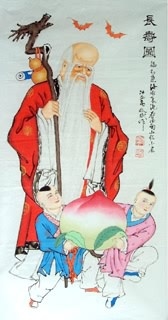 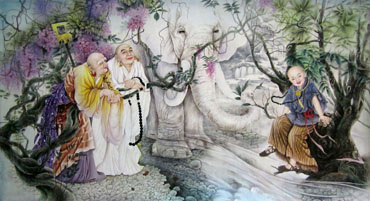 That brings the progress on composition, types, forms, color tone as well as techniques of expression to Chinese figure painting. 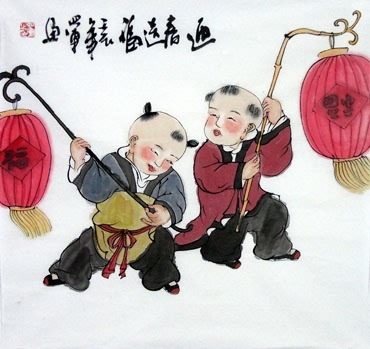 Concurrently a batch of artists become masters of the century.